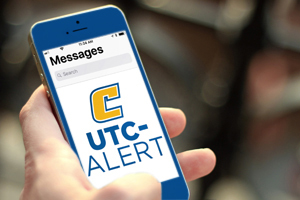 Welcome to UTC-ALERT – the fastest method for receiving official safety information at The University of Tennessee at Chattanooga. You may register up to three cell phone numbers and three e-mail addresses of your choosing. Click on REGISTER in the top right corner of this page.